Pausing at the Show Me Writers Masterclass to get a selfie with my new author BFF, Mary Buckham, Urban Fantasy author and writing instructor extraordinaire! With my friend and director of Mizzou Publishing, Heather Tearney, at the Mizzou Campus Authors Reception. 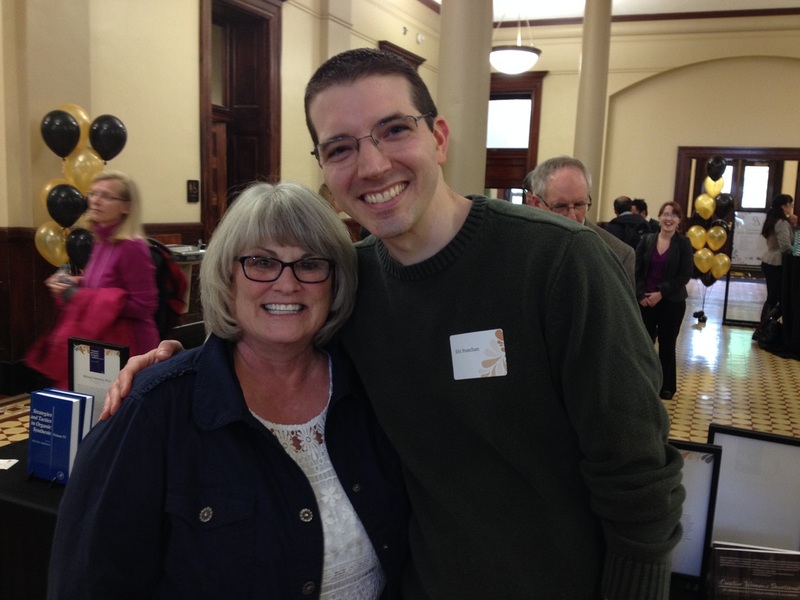 Spending some time with my friend and former co-worker, Robin Walker, at the Mizzou Campus Authors Reception. My author neighbor at the Mizzou Campus Authors Reception was the enthusiastic and talented Genevieve Howard. A picture is always more fun when you're holding a book! Hanging out with my pal, Kit Salter, before the session at the Unbound Book Festival. 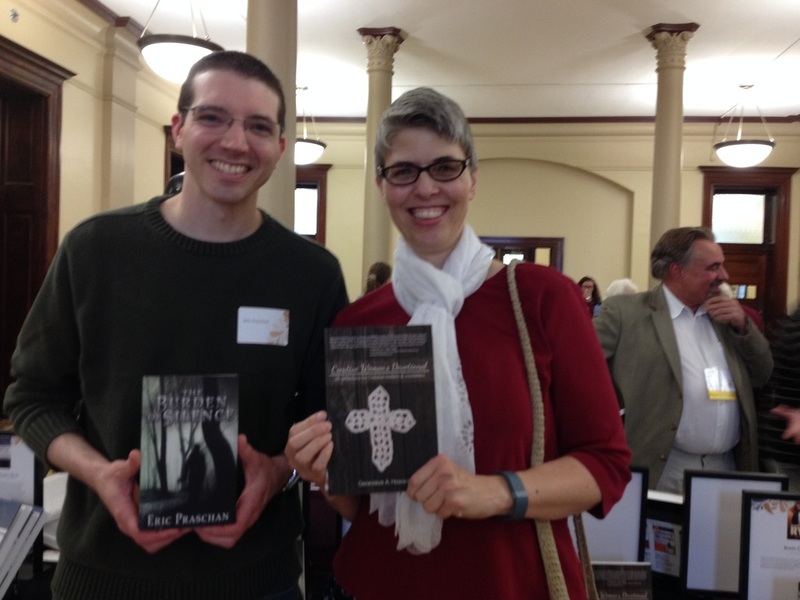 Snagging a pic with my beautiful wife at the Unbound Book Festival! Making some new friends at the Unbound Book Festival. 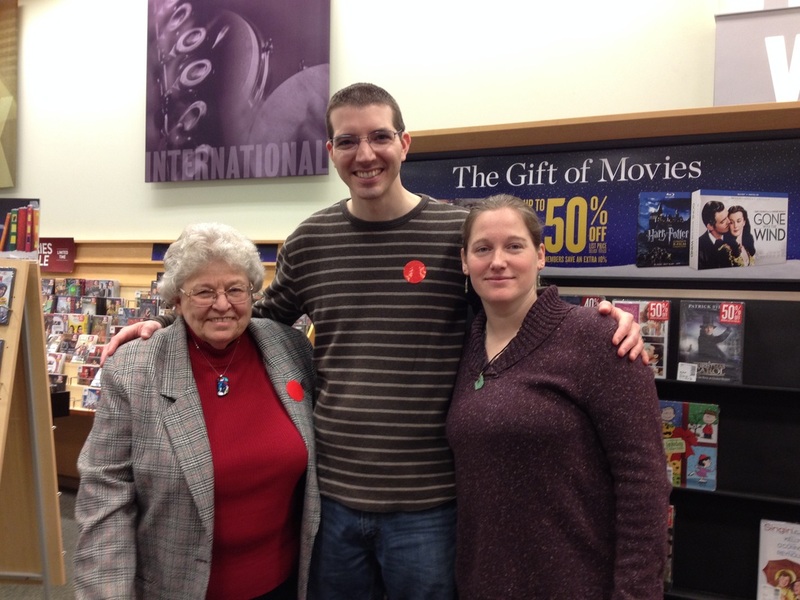 Reading from The Burden of Silence during the Unbound Book Festival fundraiser at Barnes and Noble. I enjoyed sharing an author reading and discussion time with stellar author Alex George. Alex is originally from England, and he has, by far, the coolest English accent ever. The audience was mesmerized during his reading. It helped that his story was compelling, but his accent...now that's a secret weapon. Hanging out with with my friends Carolyn Mulford and Carrie Koepke after their fantastic author readings and discussion at the Unbound Book Festival fundraiser at Barnes and Noble. 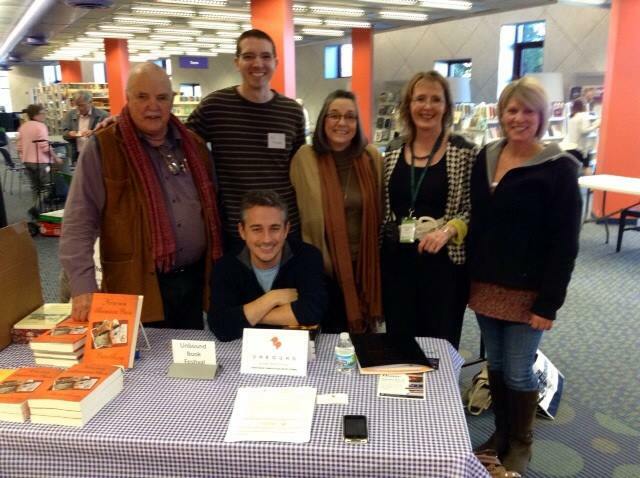 Gathered with some friends at the Local Authors Open House at the Daniel Boone Regional Library. You'd think a bunch of writing introverts would melt whenever they walk outside into the sunlight to attend a book event, but something magical happens when authors get together--we can't stop talking about writing...and the smiling never ends! Gathered around the book table with my wife and our friends at the Boone County Historical Museum. They dared me to hop on the piano in the background and sing a number to open the book talk. Literally, "hop on the piano," as in jump on top of it. If only they knew how close I came to doing it...I'd been preparing a musical number all week just in case the whole reading from the book thing didn't work out. This is me either making an effort to say something of substance about the writing process or describing how pizza is so tasty that it should be classified as one of the four food groups. 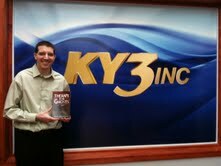 Holding the first copy of The Burden of Silence. Always an exciting day! 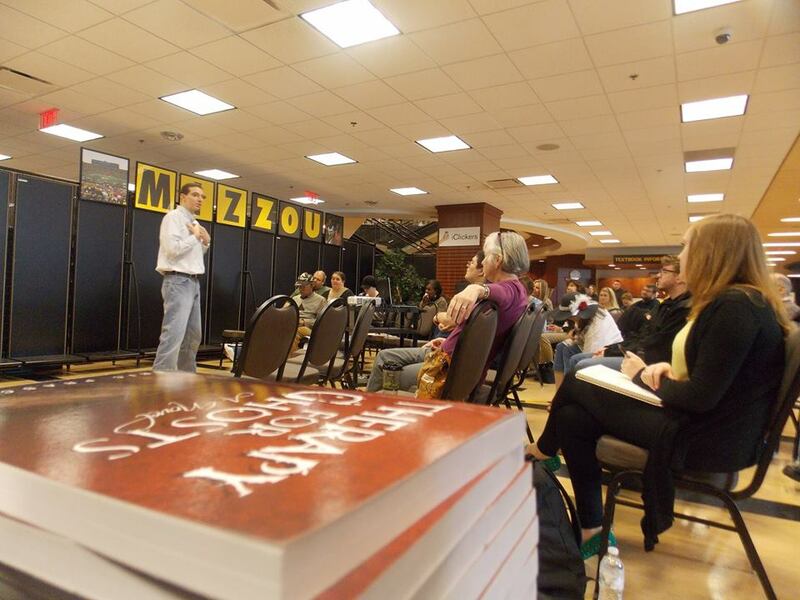 Discussing the publishing process at a Writer's Workshop at the Mizzou Store. We talked about overcoming fear of rejection and failure and pursuing publication. Always encouraging to meet new writers and share experiences. 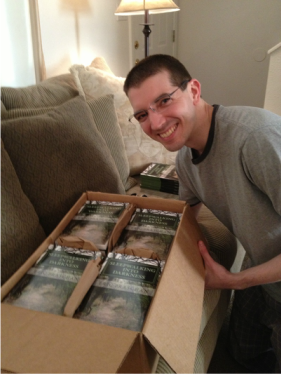 Posing with the first shipment of new copies of Sleepwalking into Darkness. They're like my little kids...so proud of them. At the Writer's Workshop at the Mizzou Store. So much fun to connect with other people who are passionate about writing. Discussing the publishing process at a Creative Writing Q&A at Evangel University's Homecoming. The stick figures and boxes are the extent of my drawing capabilities! 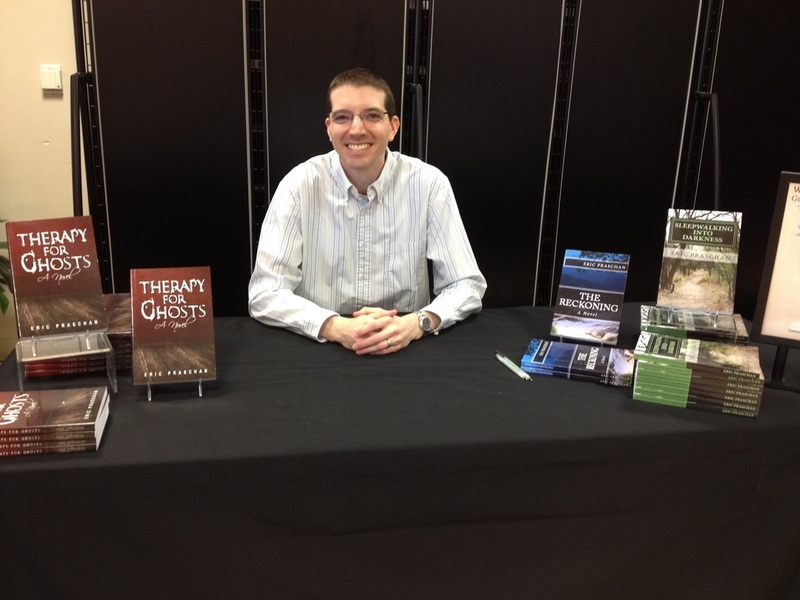 It was exciting to see Therapy for Ghosts, Sleepwalking into Darkness, and The Reckoning hanging out together at the Mizzou Store at the University of Missouri. 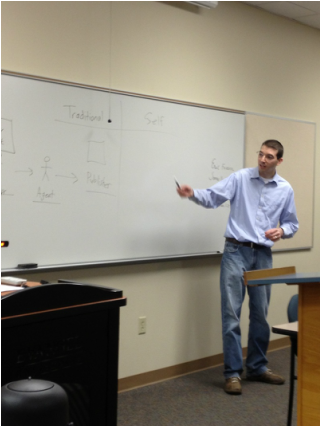 Creative Writing Q&A at Evangel University--working on our Scene Pinball Machine. One character we created was Andy, the arsonist firefighter. Gotta love collective brainstorming! My partners in crime at the University of Missouri Bookstore author signing-- William Claassen and Kerra Williams. Causing trouble and signing books! My lovely wife, Stephanie (left), my Uncle Jim (middle), and my Aunt Mary Lou (right) at KY3 News in Springfield, Missouri. They were nice enough to come and listen to me jabber about the book! Who let this crazy person into the T.V. station??? My friends made a framed picture of the book cover for the surprise party. Incredible friends!